Star can design, manufacture and supply bespoke tool holders to suit any model in the range. Star’s engineering expertise constantly helps customers solve their most demanding sliding head metal cutting challenges. Contact engineering@stargb.com for more details. In the adjacent application a bespoke cartridge type sleeve holder has been designed to accommodate the thread rolling head and pneumatic reset cylinder. 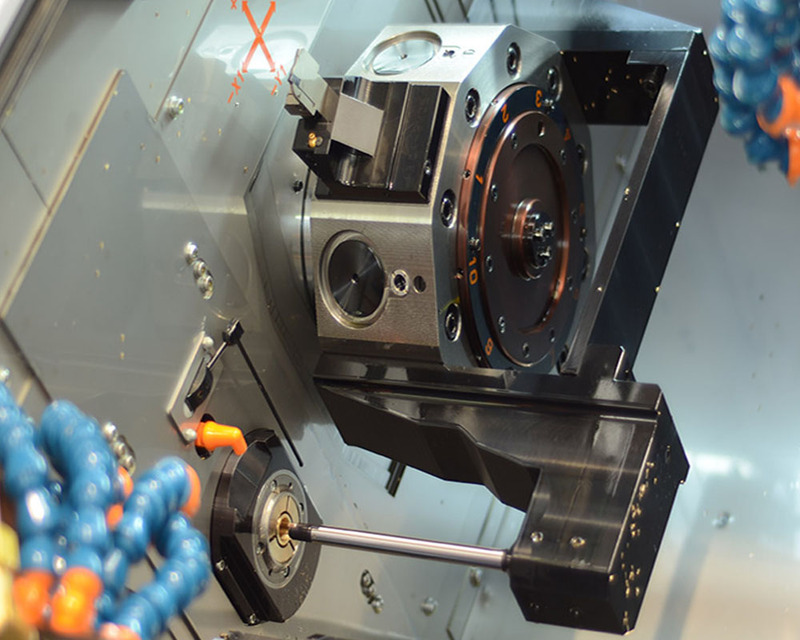 The reset cylinder can be mounted above or below the sleeve holder body depending on the size of the thread rolling head. In the adjacent application a bespoke cartridge type pneumatic V clamp mechanism has been designed to clamp a 380mm long pin. 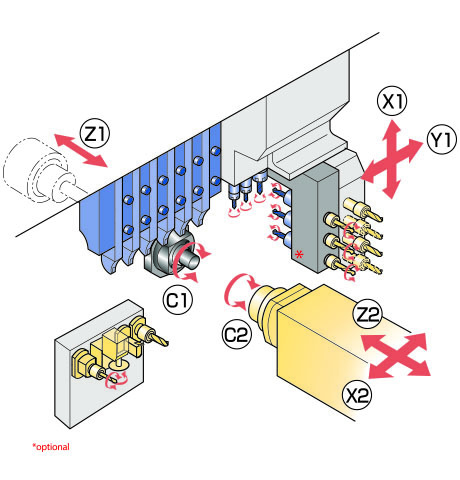 The clamp mechanism holds the finished pin (unsuitable for long parts ejection) in situ as the sub-spindle is withdrawn to enable easy unloading. 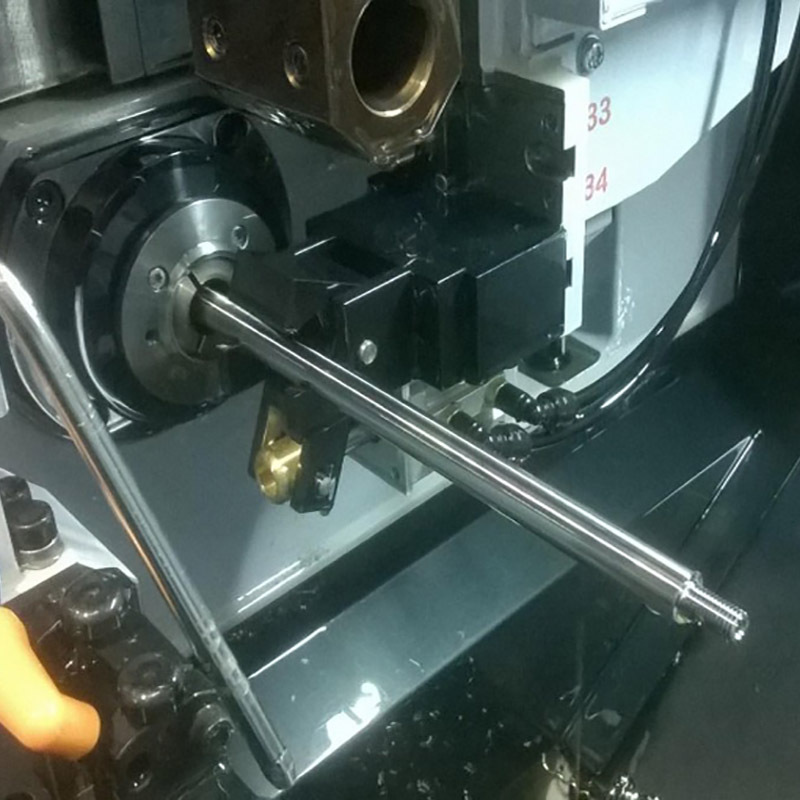 In the adjacent application two bespoke deep drilling holders with through tool coolant have been designed to accommodate drills (over 200mm in length) used for front and back drilling an aerospace part. 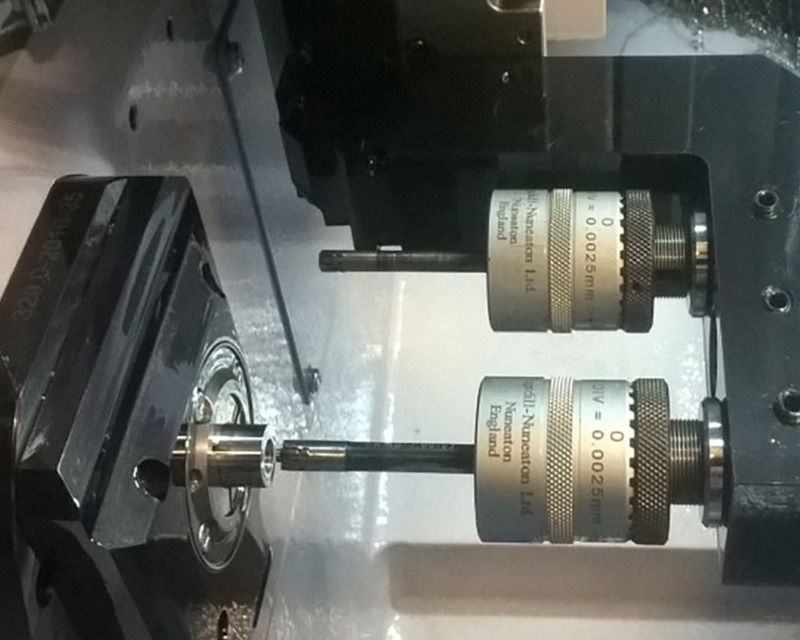 In the adjacent application a bespoke cartridge type holder has been designed to accommodate two burnishing tools. The unit mounted on an SR-20J provides over 110mm clearance between the guide bush face and tool holder body ample for the two burnishing tools. 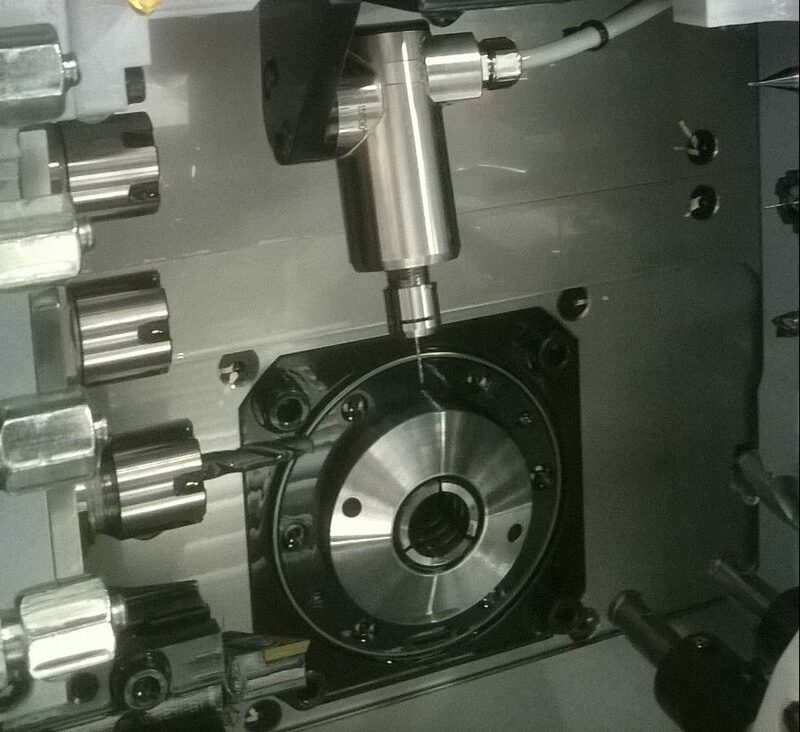 In the adjacent application a bespoke hi-speed spindle holder has been designed to accommodate an IBAG spindle mounted at 14° from vertical on an SR-20RIV Type B machine. 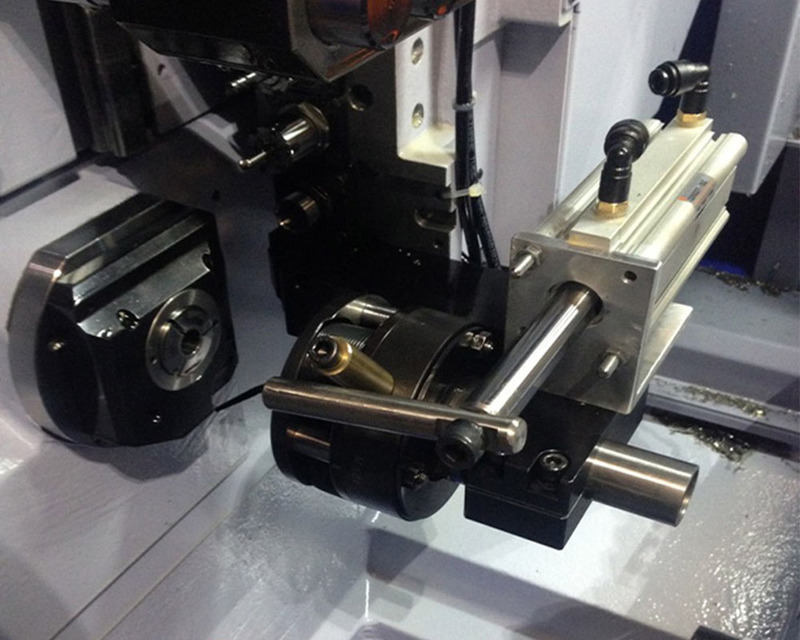 Visit Star’s own tooling website for a comprehensive list of standard tool holders and accessories to suit Star’s range of sliding head lathes.